The Northeast Center for Trauma Recovery (NECTR) was founded in 1993 by Charles H. Rousell, MD, a psychiatrist who specializes in the evaluation and treatment of anxiety disorders, traumatic stress disorders, and the dissociative disorders. Dr. Rousell practices in Darien, Connecticut and treats children, adolescents, and adults. Dr. Rousell, a graduate of Harvard University and the Columbia College of Physicians and Surgeons, is a Diplomate of the American Board of Psychiatry and Neurology and a Fellow of the International Society for the Study of Trauma and Dissociation. He has been certified by the American Society of Clinical Hypnosis and has served on the board of directors of the National Society for Certified Clinical Hypnotherapists. Dr. Rousell has been in private psychiatric practice since 1978 and founded the Northeast Center for Trauma and Recovery (NECTR) in 1993. 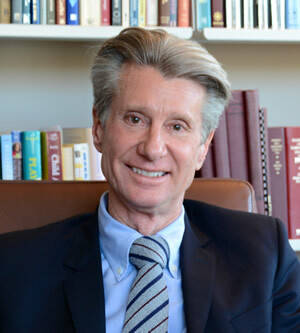 He has served as Assistant Professor of Psychiatry at the Albert Einstein College of Medicine, New York, NY, and as Chairman of the Department of Psychiatry at Greenwich Hospital, Greenwich, Connecticut. He currently serves as Lecturer in Psychiatry at the Yale University School of Medicine, New Haven, Connecticut.